World War I press can be approached from several points of view: journalistic discourse, military censorship analysis, internal and external propaganda and so on. The forms of propaganda were diverse, such as unofficial channels, newspapers, speeches, movies, photos, posters, books, pamphlets, periodicals and even cartoons (used for the first time by the British). 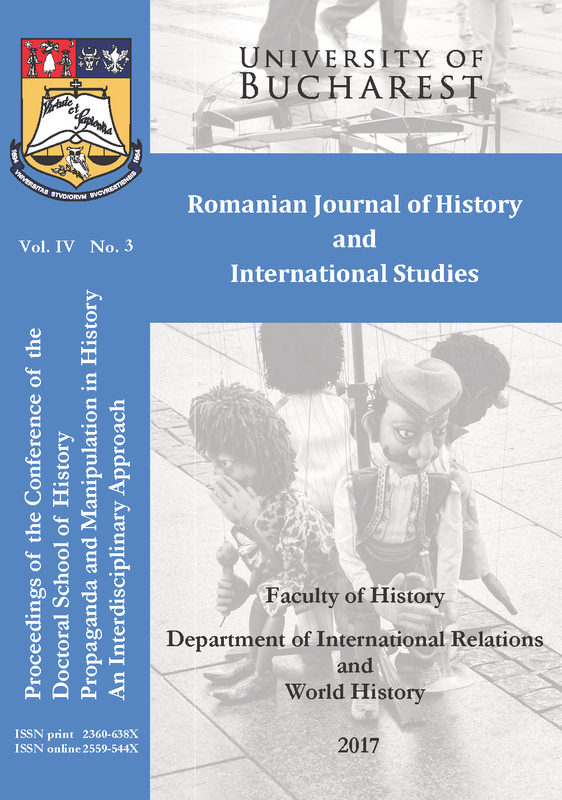 The study proposes an analysis of the German propaganda employed by newspapers regarding Romania’s declaration of war in 1916. Germany was the only country to consider propaganda as a tool of war even before 1914. At the beginning of the world conflict, a semi-official network disseminating information favorable to the country in other states already existed in Germany and the role of propaganda consisted in raising the morale of the population during the war. The National News Agency and the Wolff Telegraph Bureau (WTB) were financed and controlled by the state.